Choosing the right hardwood flooring can be exciting, but it can also be overwhelming. It’s important to keep in mind some important questions to ask yourself so that you can help streamline the process and make sure you’ve made the right choice. Take a look at some top questions to ask before making your final decision. When you’re deciding whether or not to go with hardwood floors or deciding which hardwood floor to choose, it’s important to consider where the wood will be placed. For example, it’s recommended to not put wood flooring on any floors below ground level (e.g., a basement) because these below grade levels will often encounter more moisture than levels that are on grade or above grade. And as you know, moisture can mean big problems for wood flooring. 2. What’s Your Lifestyle Like? 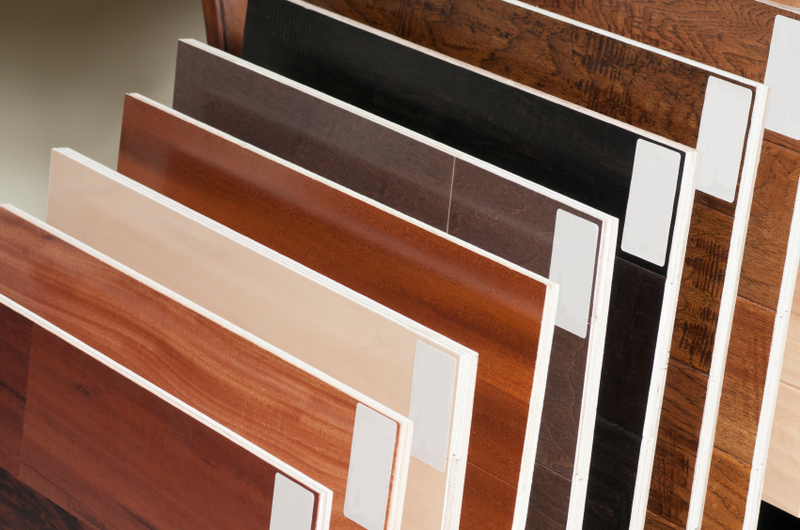 The type of wood you choose should reflect the type of lifestyle you live. For example, if you have kids or pets – or you just love throwing parties – a harder wood would help keep longevity and durability for your flooring. If you want a fairly hard wood that’s also budget-friendly, take a look at red oak flooring. In addition to hardness, you can also choose flooring with different stains or grain patterns that may help to cover any dings or scratches that accrue over time. While some may think that floors are floors, you may find that the type of flooring you fell in love with just doesn’t go well with other design elements in your room or home. For example, hickory wood gives homes a more traditional feel, and therefore may create a bit of a style clash when placed into a home with more modern, trendy, or minimalist details. There are a lot of options out there for good wood flooring. To help simplify the process, think about which factors are most important to you and narrow down the list from there. For example, if you have a strict budget to maintain, you may want to look at engineered wood floors that are more budget-friendly. If daily care and maintenance is most important to you, you’ll want a harder wood with a darker stain. 5. Will You Test before You Buy? The answer to this should be yes! In many cases, you can fall in love with a small sample that you see in the store or online, only to find that it just plain doesn’t work with the room. The final product when installed in the room may look too dark, too light, or clash with the room in general. This is why you should ask for a two-by-two-foot sample with the final finish and stain to make sure it works. To talk to a wood flooring professional, call us today at (407) 262-7979.